Neyrinck, developers of plug-ins and DAW controller software, have announced BeatsBot. BeatsBot has been created in much the same way as the early drum machines offering built-in beats that can be used right away or edited and then arranged into a song from the patterns. Whilst monster drum VIs with gigabytes of content and an endless array of parameters have their place, they can often be overkill during the jamming and writing process, so something like BeatsBot might be right up your street. "BeatsBot lets you get on with the fun part of creating music. 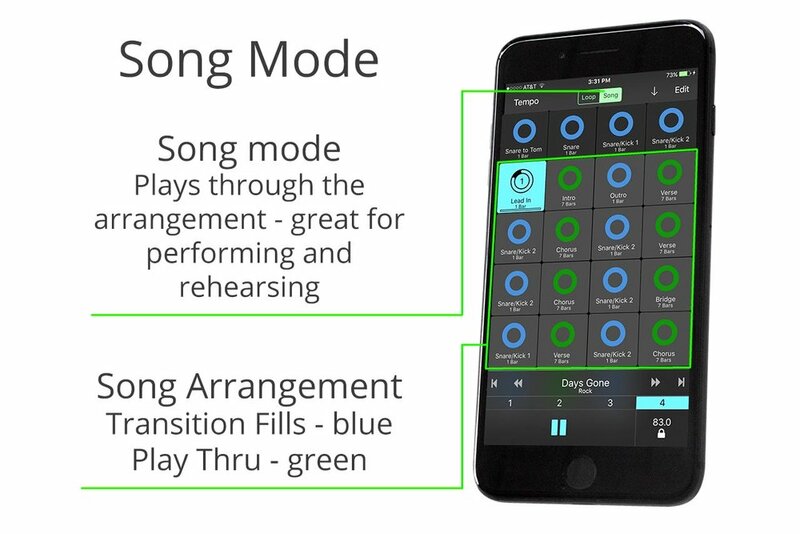 BeatsBot is an iOS drum app that lets you play, practice and write songs to the beat, fast. Play along to great drums when the inspiration strikes. BeatsBot lets you quickly choose the right tempo, the right kit and a pattern that suits your music so you can get on with the fun part of being creative anywhere." The best, simple and easy beats app for practicing, jamming, composing, and performing. Great for professionals and beginners who want to create to the beat. Use the built-in beats or create your own. Share beats with your bandmates. Fully compatible with MIDI foot controllers, pads, and keyboards. Beat sections are laid out in a grid. Just tap a section to start a groove. Tap any section at any time to switch the groove, steady and solid. Loop mode lets you tap a groove or fill to lock into a groove. Song mode plays back the grooves and fills in order so you can perform an entire song. So simple. BeatsBot has lots of built-in beats for rock, jazz, latin, country, EDM, and metal genres. Tap the share button and you can send a text message or e-mail to anyone you play with. They can instantly import the beats into their device. Or send a message to yourself to move your beats between your iPhone and iPad. Use a MIDI foot controller for hands-free beats when you are playing your music. Customize your beats and make your masterpiece with the simple and powerful editing features. Just tap the Edit button and you can re-arrange sections, edit patterns in sections, and tap in grooves with the pads. For a limited time just BeatsBot is $4.99. You can also try for free.